The production of testosterone, with it being the main reproductive hormone in men, is of vital importance to be within the normal ranges. The normal testosterone levels measure between 270 and 1070 ng/dL, while on average, these levels are approximately 679 ng/dL. Unfortunately, there are a lot of factors that commonly cause an abnormal increase or decline in these levels. This, of course, characterizes itself with some visible signs and symptoms. In the following article, we are discussing the issue of abnormally high testosterone levels in men. With the help of the information that we have to share with you, you will be able to recognize the symptoms in time and ask for help right away. 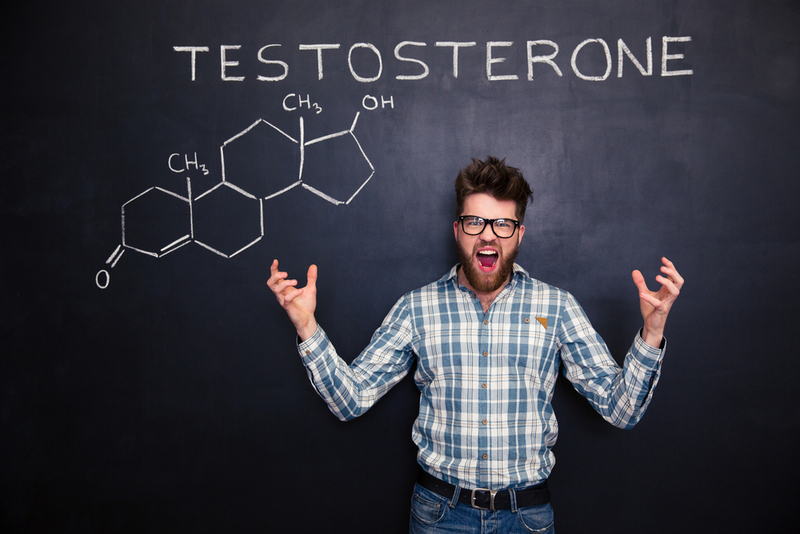 What are the reasons for high testosterone levels in males? Hypergonadism is the term that is being used to refer to the abnormally high testosterone levels within men. High testosterone levels are considered those above 950 ng/dL. Hypergonadism is a condition that characterizes itself with the overproduction of the reproductive hormones with them being – testosterone in men and estrogen and progesterone in women. Due to hypergonadism, the individual will struggle with high testosterone or high estrogen and progesterone levels, which will influence the individual’s quality of life. Hypergonadism can be caused by a variety of factors. These factors include kidney and liver disease, tumors in the testicles, infections, injury, autoimmune diseases and many others. Individuals who are using anabolic steroids are exposed to a higher risk of hypergonadism. Men have the habit of using anabolic steroids to treat their infertility when in fact, what they are doing is only enhancing the already existing problem. Anabolic steroids are also often used to enhance the muscle strength, muscle, and energy levels, with them causing hidden, while they are causing hidden problems at the same time. The potential side-effects caused by hypergonadism depend on the age of the individual. When hypergonadism occurs in early age, individuals are reported to experience early puberty. The potential side-effects are more dangerous as the aging progresses. So, while early puberty is the only symptom of hypergonadism in early age, other symptoms are expected to occur later in life due to this condition. Hypergonadism in adult men has been linked to various signs and symptoms. The most dangerous symptom of them all is perhaps infertility. Similar to how a decline in testosterone levels has been linked to infertility according to past cases, an increase in testosterone levels in men can be the reason behind why a man is not able to father a child. Infertility occurs due to a decline in sperm quality, count, and motility. Apart from infertility, other symptoms are expected to occur as well. Acne is a common side-effect due to hypergonadism. Excessive hairiness, regarding both the body and facial hair, is expected to occur as well. Abnormally high sexual desire is one quite common symptom of high testosterone levels, which is understandable if you remind yourself that on the other hand, low testosterone levels are commonly linked to a decline in sexual desire, stamina, and the sexual performance altogether. However, the abnormal increase in libido does not always equal high sexual performance. Mood changes and changes in behavior are experienced as well. The individual will probably act more aggressive than usual and act irrationally which might even lead to putting his life in danger. Hypergonadism, in the long run, can be linked to an increased risk of cardiovascular disease, heart attack, and even stroke, due to the increase in blood pressure levels as a common symptom of hypergonadism. When it comes to hypergonadism, do not be surprised when you find out that hypergonadism is more difficult to be treated as compared with hypogonadism, or low testosterone levels. Unfortunately, reducing the abnormally high testosterone levels is often more complicated and difficult to do than just rather increasing the low testosterone levels. But that does not certainly mean that we are talking about an impossible mission! The treatment would start by identifying the reason behind the abnormal increase in testosterone levels, only to later take the matters in their own hands to eliminate that cause as soon as possible. This is where noticing the symptoms and reporting them to the doctor will come in handy, as it will shorten the time between diagnosing the condition and treating it as a way to reduce the risks that it brings. While low testosterone levels are usually treated with some serious lifestyle changes, a quality testosterone booster such as Male UltraCore, and an elimination of the cause itself, the case of hypergonadism might involve a bit more serious medical resources. But there is no reason to be afraid as we believe that you are in fact, in good hands. 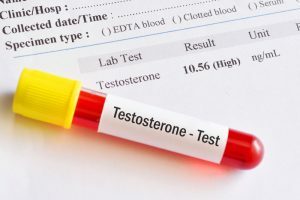 Higher than normal testosterone levels are just as dangerous, and perhaps a bit more, compared with the decline in testosterone levels. Caused by a variety of reasons including tumors, injuries, operations, and anabolic steroid use, the case of hypergonadism is known to cause some serious life changes. From early puberty, acne, and higher than normal sexual desire, to infertility, high blood pressure, and aggressive behavior – the risks of hypergonadism are multiple, and it is of vital importance for these symptoms and their cause to be treated as soon as possible. Do not hesitate to ask for help if you suspect that you are going through anything similar to higher or lower than normal testosterone levels. Is It Dangerous to Have Low Testosterone?